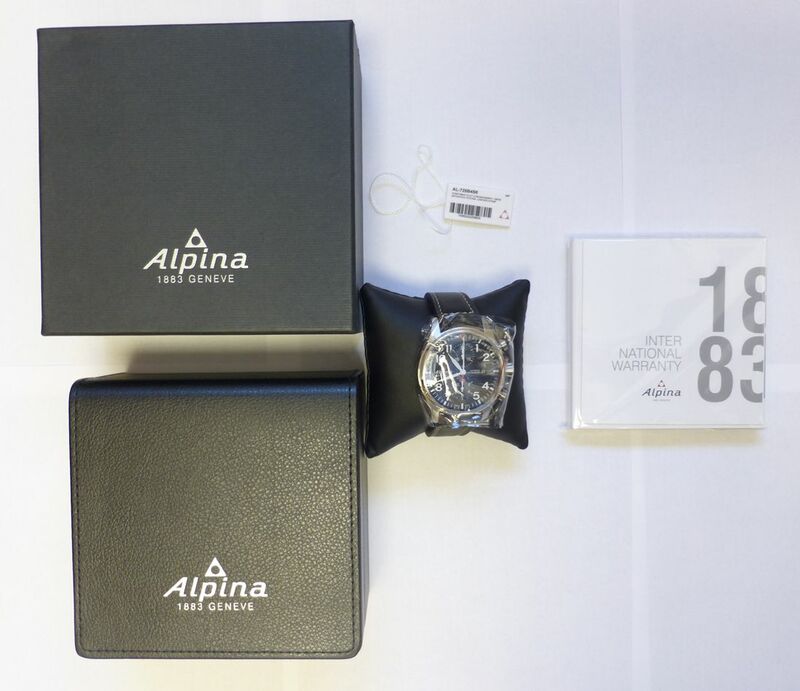 Brand new and unused, with case seals all intact Alpina Startimer Chronograph, complete with box and papers with unstamped warranty card. 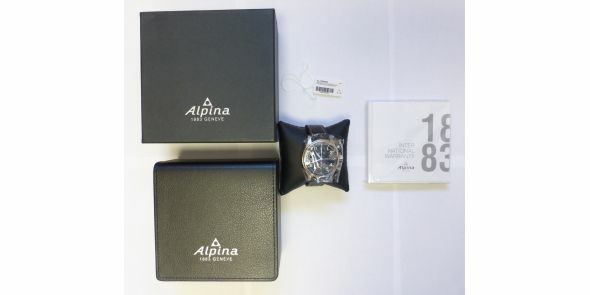 The UK retail price is £2090. 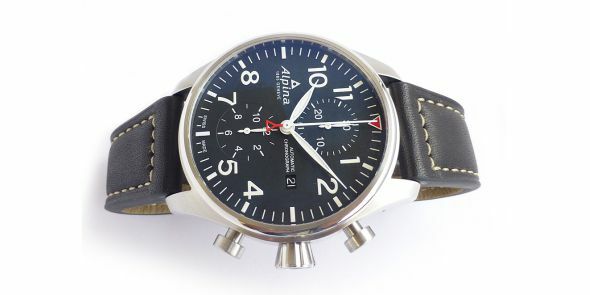 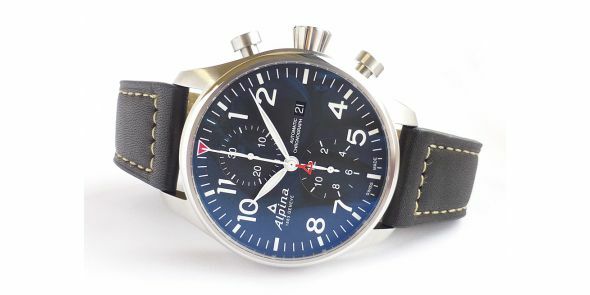 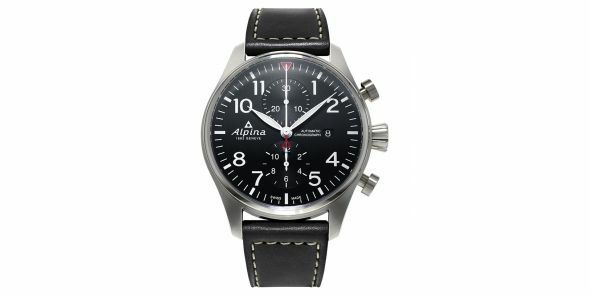 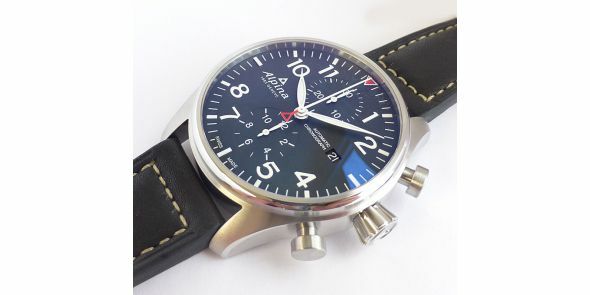 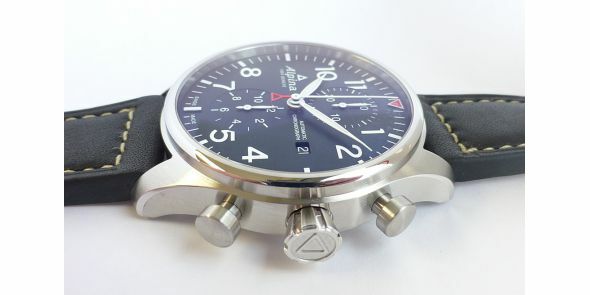 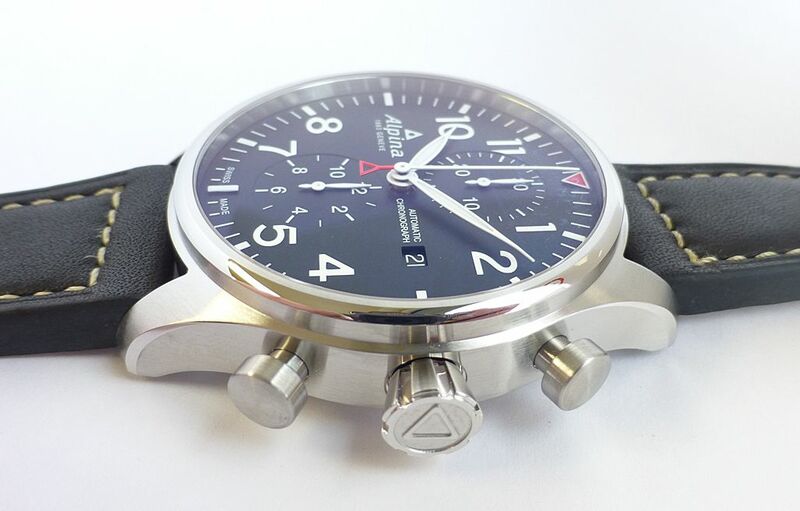 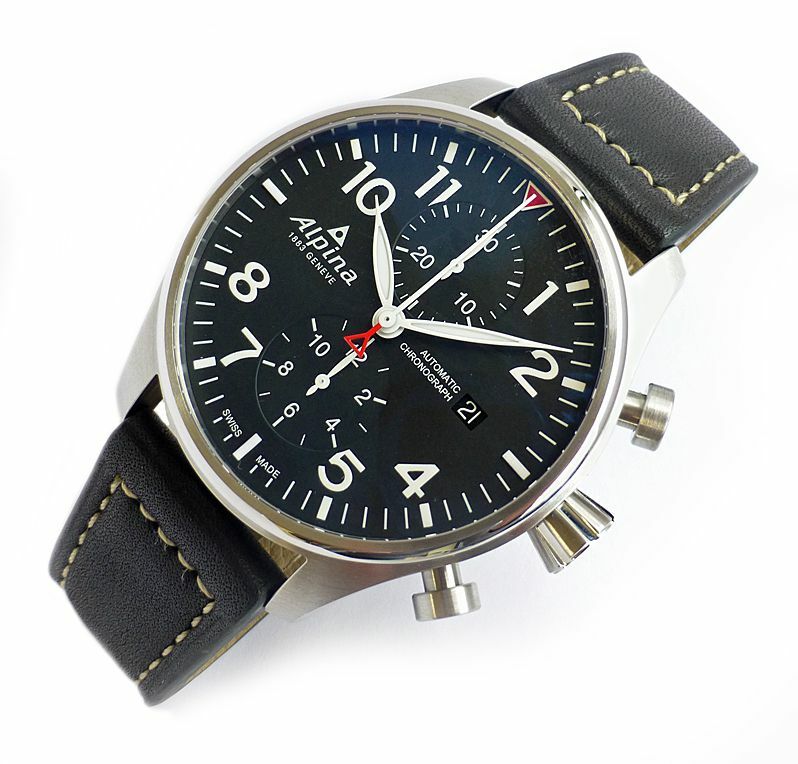 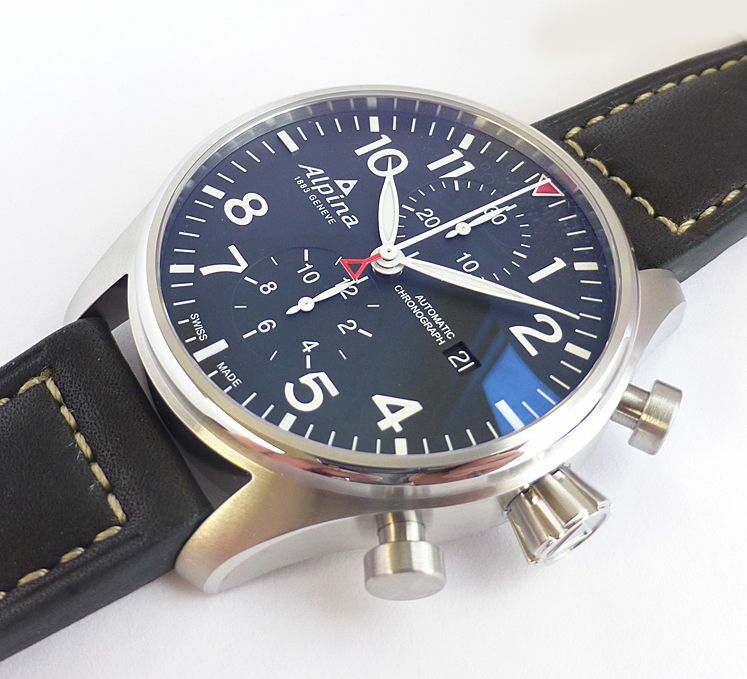 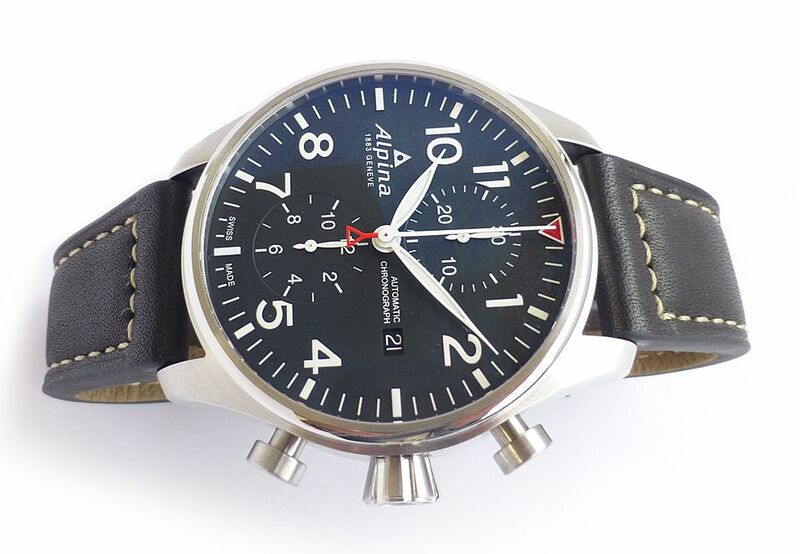 Since 1883 Alpina has been associated with horological innovation. 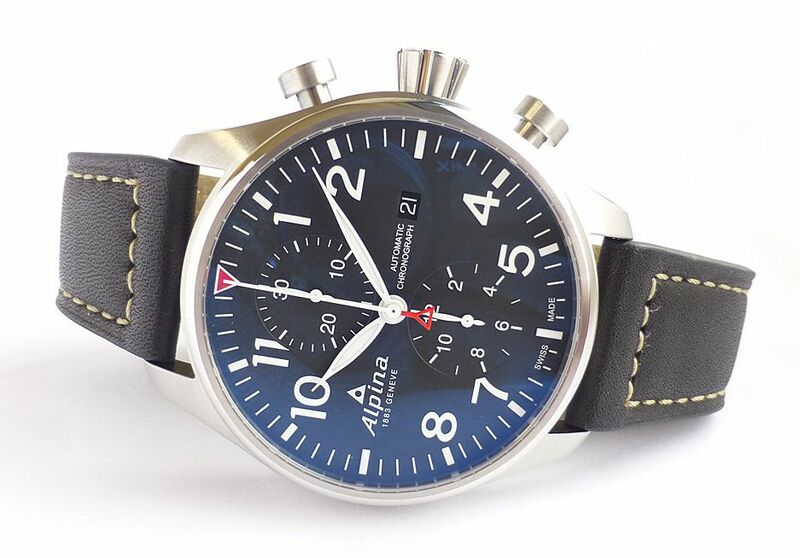 Whether it was our innovative way of creating an excellent working environment, or through the introduction of new quality control criteria before anyone else, Alpina has always sought ways to improve how things are done. 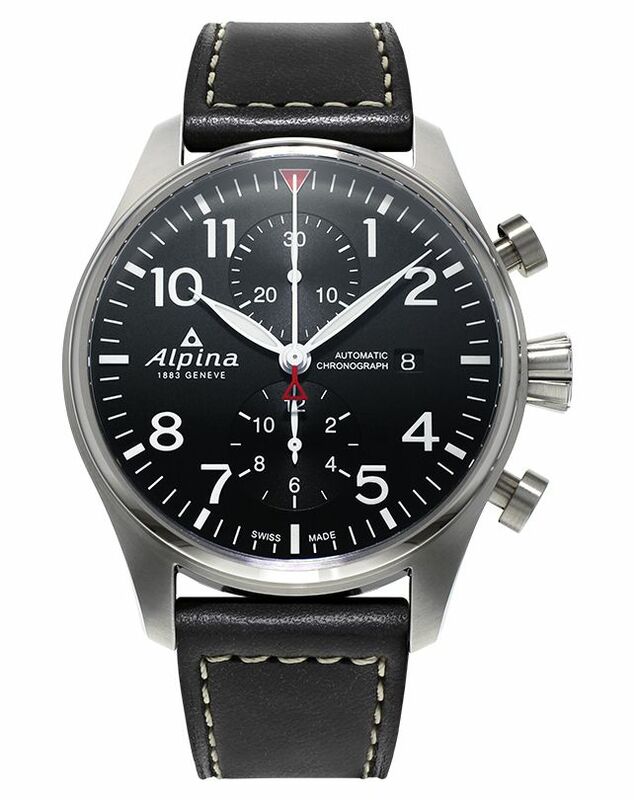 Full specs are below. 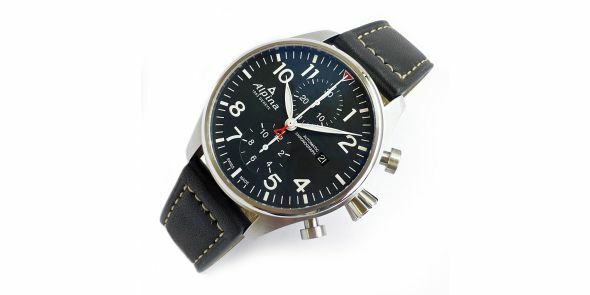 First picture in the sequence is a catalogue image.